Like most people I often have my phone glued to my hand - something I am definitely looking forward to changing once the baby arrives and technology and social networking is the last thing I will be worried about. 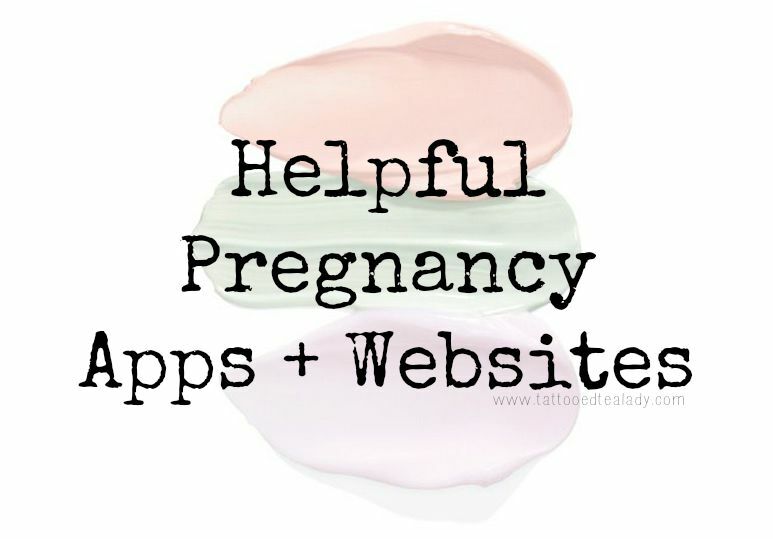 That said throughout my pregnancy so far there have been a few apps I have been using daily which have been packed full of information both about my developing baby as well as the changes my body is going through, what to expect, what developments happen when and why, what it is advised you do and do not do - you get the gist! These apps allow you to add some basic information about yourself, such as your name, age, gender, your LMP (last menstrual period) information as well as your EDD (estimated due date), if you know it. Some even allow you to put information about your partner in, whether you have other children, whether you have any health issues and your local area (so that you can be recommended helpful locations and resources near to you). Most importantly? They're all free! These are apps I use daily and more often than not, one of the first things I check each morning when I get up. They are all free to download on Android and I would imagine on Apple products too - the only app which comes with charges is Pregnancy+ which costs to continue using after the 1st trimester, however I decided not to pay to continue using this app (even though admittedly, it was my favourite for the information it gave). Finding websites with reliable information was a little bit harder to come by. As I'm sure you are aware if you have ever used Google to self-diagnose a cold to be told it's some traumatic life-threatening disease, Google is full of 'medical experts' who are anything but the experts they claim to be. I have learnt that it is always better to go with reliable websites which are backed up by genuine medical professionals and institutions, because otherwise you may not only end up reading information which is false or less than helpful, but you could end up being left with unnecessary worry, anxiety and fear. A few of these websites have the added bonus of forums where you can chat to other expectant mums and dads as well as parents and experts who offer advice and tips. Netmums and Pregnancy Forum are my favourite sites for talking to other pregnant ladies and sharing experiences; it's reassuring to know that other people are getting the same symptoms and niggles as you are! Netmums, Emma's Diary and the NHS website in particular are great for information on what happens each trimester as well as each week of your pregnancy, and I love checking back each week to see what new developments my baby will be making over the next few days! Some sites like Emma's Diary and Bounty even offer fantastic offers and discounts, so it's great if you're looking to get everything set up on a budget. Megan Garcia is the most recent website I've come across and for me, is just an incredible free resource for information that takes a little more of a holistic approach to pregnancy and motherhood. When I finally felt confident enough to share the news publicly on the blog that we were expecting a baby, I put out a tweet and Instagram post asking for people to recommend me their favourite pregnancy and parenting blogs. Like any genre of blog, I really love blogs which draw me in aesthetically with big, clear photos, beautiful designs and regular content - and of course, when that content is engaging, easy-to-read and relatable it's an easy formula for a perfect blog. These are my favourite pregnancy and parenting blogs I've come across so far, as well as their Twitter handles and Instagram accounts! There's also a few hashtags that I recommend checking out on Instagram, too: #motherhoodrising #craftedsisterhood. pregnantchicken.com is also great! If you sign up for the mailing list they send you weekly updates which are always hilarious and super helpful! OMG thank you for posting this! I just found out I was pregnant, so it's a long time before we'll be able to tell people. Just like you I've been googling insatiably, as a substitute for talking to the people I'd normally talk to. It feels so weird not being able to tell people the biggest news you'll ever get straightaway doesn't it?! The unmumsy mum is fantastic and very real! As a first time pregnant woman myself i found myself reading every single post and found it quite refreshing from most ogher blogs! I'm currently 33 weeks pregnant, and wasn't confident in the information I was given until around a month ago! I think it can take a long time before you finally feel 'okay' with doing things / eating things etc... I used to Google EVERYTHING before I ate it... now not so much ;) I purchased the Pregnancy+ app as I found it to be the most useful and straight forward! I do try not to Google as the amount of 'experts' on the internet makes me laugh, and it can get so confusing! Congratulations on your pregnancy, it really is the most amazing thing in the world! I love this blog post, and will definitely be saving it to refer to for links over the next 7 weeks! Definitely, there are times I wished I had a 24 hour hotline just to ask if it was OK to eat something or drink something! My midwife has been very reassuring in that instance though and made me realise that it is all advice, not gospel. There are things you would be better to avoid but it's not life-threatening if you have it. I am thinking I may have to bite the bullet and pay to continue using Pregnancy+ - I am just a sucker for not paying for apps as so many are free!